MANAGER: Bobby Williamson; Jocky Scott; Tony Pulis. PLAYER OF THE SEASON: David Norris. 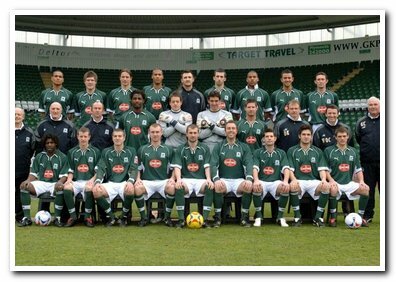 DEBUTS: Anthony Barness, Rufus Brevett, Bojan Djordjic, Nuno Mendes, Lilian Nalis, Reuben Reid, Taribo West, Chris Zebroski. FINAL GAMES: Rufus Brevett, Mickey Evans, Bjarni Gudjonsson, Keith Lasley, Nuno Mendes, Scott Taylor, Taribo West, Chris Zebroski. LOANS: Leon Clarke (Wolves), Matt Derbyshire (Blackburn), Jason Jarrett (Norwich), Vincent Pericard (Portsmouth), Anthony Pulis (Stoke), Elliott Ward (West Ham).